Riesling from great vineyards and vintages can produce some of the world's most interesting and age-worthy white wines. 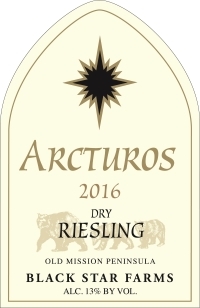 This dry and aromatic Riesling is full of flavor and character. Vibrant and fresh with lush fruit aromas, balanced by a bracing acidity, make this wine an excellent accompaniment to a wide variety of foods. Vibrant, fresh citrus and stone fruit flavors followed by a dry, crisp finish. Drink now or within the next five to ten years. In the better vintages there is a voluptuous depth of fruit flavor synchronized with continuously evolving aromatics. These characteristics make this wine so good as an aperitif and unparalleled with an enormous cast of food. It would be difficult to find any culinary creation that would not pair well with this Riesling. At your next gathering around the table, try a glass of this fine white wine and see if you do not agree; there is not a better variety for the pure pleasure of drinking with food.